Photographer Alvin Jacobs is finding his rhythm. Nearly two years after his work was featured in the Levine Museum of the New South exhibit “K(No)w Justice, K(No)w Peace,” the 44-year-old is turning his eye to Charlotte neighborhoods. Arts+Culture and the Levine Museum of the New South, and he’s working on new projects for both institutions. He also has a residency at the Gantt Center. 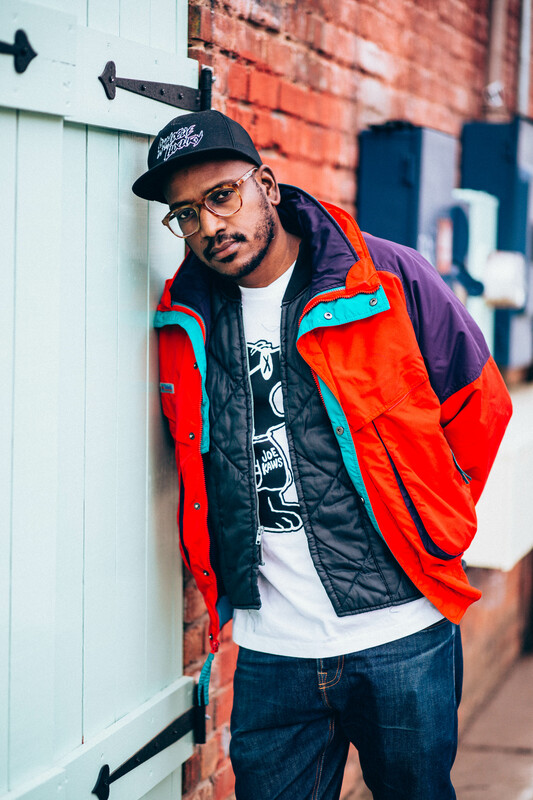 Charlotte Magazine named him a Charlottean of the Year in 2018, and the now defunct Creative Loafing named him Photographer of the Year last year. Jacobs reflects on his career trajectory with wonder. He initially wanted to become a famous celebrity photographer. After Trayvon Martin’s murder in 2012, Jacobs’ focus changed. Capturing rappers and athletes didn’t seem so important, in the wake of what was happening in the country. Jacobs decided to document the movement that was just beginning at the time. He wanted to tell our stories the same way Gordon Parks and others documented the Civil Rights Movement. Black Lives Matters was this generation’s movement. Jacobs first came into the local spotlight in 2017, when his work documenting the protests surrounding police shootings was featured in the Levine exhibit, which closes in March. “K(no)w Justice, K(no)w Peace” set record attendance at the Levine Museum, said Levine staff historian Willie Griffin. “The photographs he took for ‘K(No)w Justice, K(No) Peace’ have been iconic in telling the Black Lives movement,” Griffin said. Jacobs is working with Griffin on the latest museum exhibition, titled “#HomeCLT,” which examines economic opportunity issues facing Charlotte through the stories of city neighborhoods. The project includes oral histories, capturing the diverse voices of present-day Charlotteans; a series of on-site and pop-up exhibits and community programs. The first phase of “#HomeCLT” opens in February. 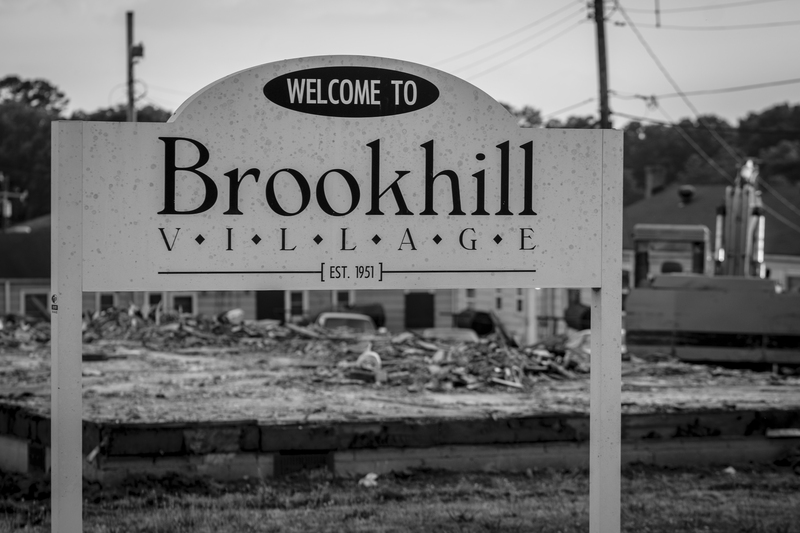 A few blocks away from the Levine, Jacobs’ works are on display in the Gantt Center’s “Welcome to Brookhill” exhibit, which documents the last of the residents to move out of the 67-year-old Brookhill Village community. 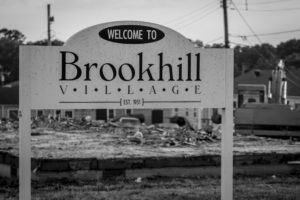 Jacobs spent three months documenting the residents’ lives, as they prepared to leave the housing development that will be torn down. The exhibit opened last September and will kick off a season of new activist-themed exhibits at the Gantt Center. It closes in September. Jacobs’ work on Brookhill lead to a residency at the Gantt Center, which gives him a freedom that he relishes. As part of his Gantt residency, Jacobs does weeklong guest lectures at CMS schools. The idea that he is shaping young minds is not something he takes lightly. One of those things is his work for the Gantt Center on “For Freedoms 50 State Initiative.” It is a nonpartisan, nationwide program that uses art to facilitate public discussions on civic issues and core values. Jacobs spent part of the 2016 election campaign season documenting the voices of voters throughout the city. He hopes his works will help people, especially young people, understand that they must work to help create the city they want to live in. Posting on social media isn’t enough. It starts with voting, holding elected officials accountable and attending meetings, he said. Charlotte welcomes the hard questions, he said. The city is ready to do the work. And Jacobs will be there to capture each step of the movement – the good and the bad.